Nominations are open until March 9th for this year’s Blackboard & VLE Awards. 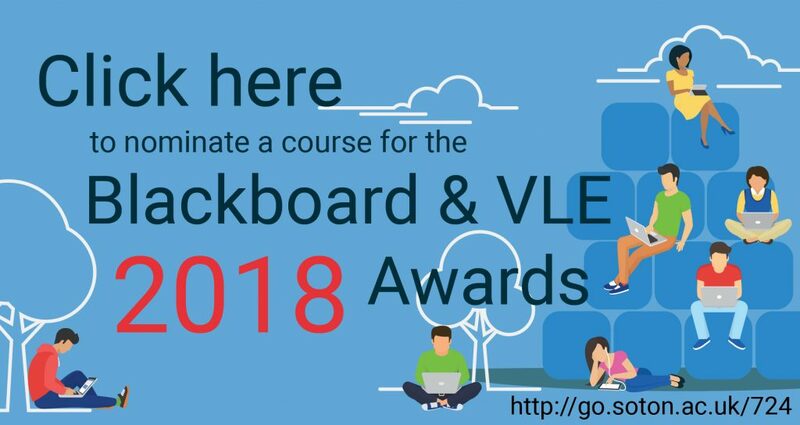 If you would like to highlight an eFolio site, Blackboard module or other Virtual Learning Environment course that provides excellent support for your learning, then submit your nomination by clicking on the image below. There are categories for both students and staff to nominate; full details are here.